Delica® Beads are the brand name for cylinder beads made by Miyuki. They are equivalent to Treasure beads made by Toho.They are available in 1.8mm and 3.3mm diameters. Aiko Beads are precision cylinder beads made by Toho. 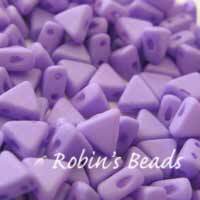 They are totally consistent in size and shape making them a delight to beadweave with and giving finished project a smooth and silky finish. Treasures® are thin walled cylinder shaped beads made by Toho. They are equivalent to Delica beads made by Miyuki. Available in 1.8mm and 3.3mm diameters.